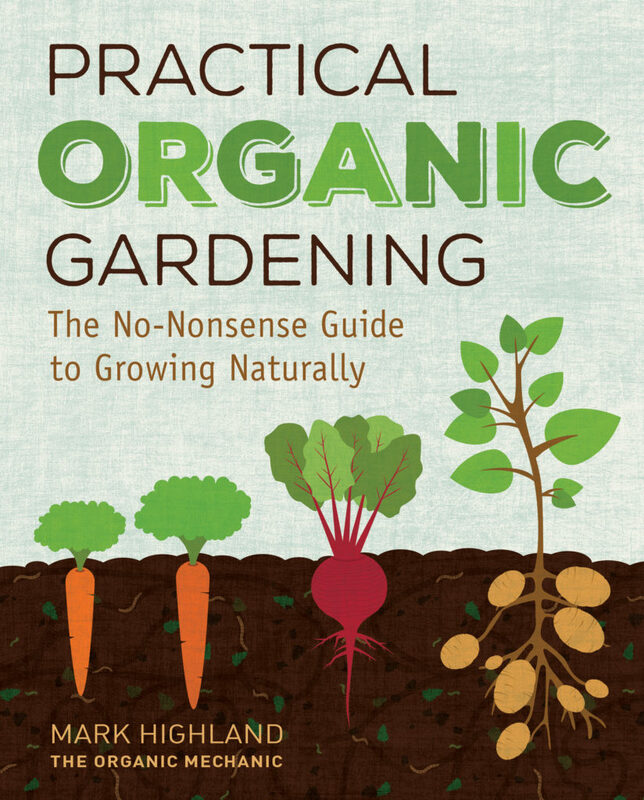 This review by Julie Jensen of Practical Organic Gardening: The No-Nonsense Guide to Growing Naturally (Cool Springs Press, 2017) by Mark Highland originally appeared in the September/October issue of Northern Gardener. In the dozen chapters that comprise Practical Organic Gardening, author Mark Highland describes every aspect of growing plants—even lawns!—without synthetic pesticides and fertilizers. Recognizing that organic gardening has moved closer to the mainstream, Highland briefly highlights its main benefits (his note on “Forest Bathing” is quite compelling) before offering his comprehensive guide to gardening. Even those who don’t choose to garden organically can glean much from his deep dive into soil composition, watering techniques and plant propagation methods. He clarifies how organic gardening is different from organic farming, how to decode organic labels and terms, and why some natural substances aren’t used in organic gardens and some synthetic materials are. In clear, approachable language, he explains the reasons behind soil, plant and pest problems and offers techniques to create or move toward a sustainable, organic garden. Creating compost and other organic fertilizers are fully explained, as is the use of a much more easily produced nitrogen source that I haven’t had in the garden since there was a small boy in my household. He shares practical tips for healthier houseplants and container gardens and includes a brief section on incorporating chickens, bees and even hydroponics into your garden. Highland closes with a passionate plea for adopting not just an organic gardening style but an organic lifestyle. One example of recycling he suggests is to reuse the potting soil in containers until it is “the consistency of flour,” which seems quite community-minded coming from the founder and president of Organic Mechanics, a Pennsylvania-based organic potting soils and soil amendments company.